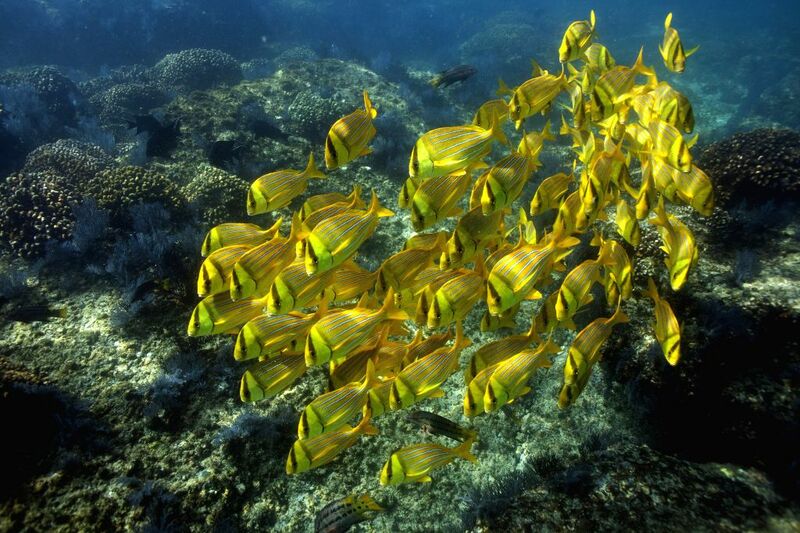 BAJA CALIFORNIA, May 12, 2014 - Fishes swim in the sea of Cabo Pulmo National Park, in Los Cabos, Baja California, to the northwest of Mexico. 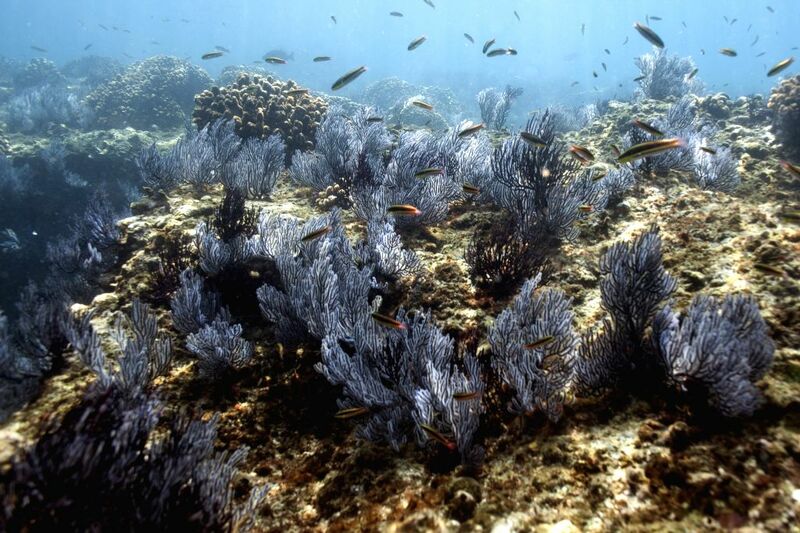 Considered as a World Heritage by the United Nations Educational, Scientific and Cultural Organization (UNESCO) since 2005 and instituted as National Park since 2000, Cabo Pulmo is one of the most important reefs of the Mexican Pacific, which has a biological high diversity with more than 236 species, including endangered species. Fishes known as "striped burritos" swim in the sea of Cabo Pulmo National Park, in Los Cabos, Baja California, to the northwest of Mexico.